Visit our 2019 Conejo Open Space Challenge page for details. Here are some photos that participants have submitted, added April 15. Older galleries are available on the COS Challenge page. See photos and a description of the work we did during the Spring Trail Work Day on the Hawk Canyon Trail on our Trail Building and Restoration page! Fire damage in the COSCA Open Space is extensive. 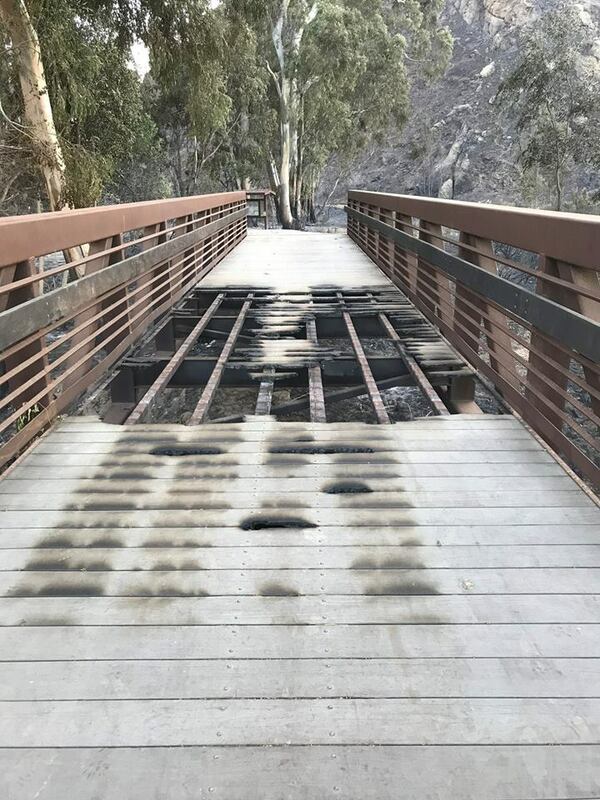 COSCA has worked hard to reopen as many trails as possible, but some of the burned areas remain closed. Please respect these closures. Check for updates at our Facebook page and on our Wildfire Recovery Status page. The Conejo Open Space Foundation is a 501(c)(3) nonprofit corporation formed in 1995 to promote, support and help maintain the open space and trail system of the Conejo Valley and to educate residents as to their roles as custodians and protectors of the open space and the environment. COSF is funded through individual, business, and corporate memberships, donations and grants. Funds received by COSF are highly leveraged through the extensive use of unpaid community volunteers and other in-kind donations. This website illustrates ongoing programs sponsored by the Conejo Open Space Conservation Agency and supported by the Foundation that help preserve and protect our precious open space. We volunteer to protect and preserve our precious open space. One great way to do this is by educating the youth of our community. Interested in working with Conejo Valley fourth graders? Join us at our next Trails Education Days. The Conejo Open Space Foundation raises funds for many outdoor projects, such as the bridge crossing in Hill Canyon, Bike Bells, and Trails Education Days. Support our efforts by becoming a member or making a donation at our Membership page. The Conejo open space wouldn't be the same without the hundreds of people who give their time and energy. The COSCA volunteer corps offers many ways to stay involved in the open space. Join us and make a difference today!